If you are exploring the Tampa area of Florida with your family, don’t leave without exploring Adventure Island. It’s Busch Garden’s waterpark and it’s really one not to be missed if you are in the area. Located North of Busch Gardens on McKinley Dr, and eight miles northeast of downtown Tampa, Adventure Island is suitable for the whole family. You can find out more about tickets and annual passes here – trust us, you won’t want to leave! There are tons of water-based rides and activities at Adventure Island – literally something to cater for everyone! 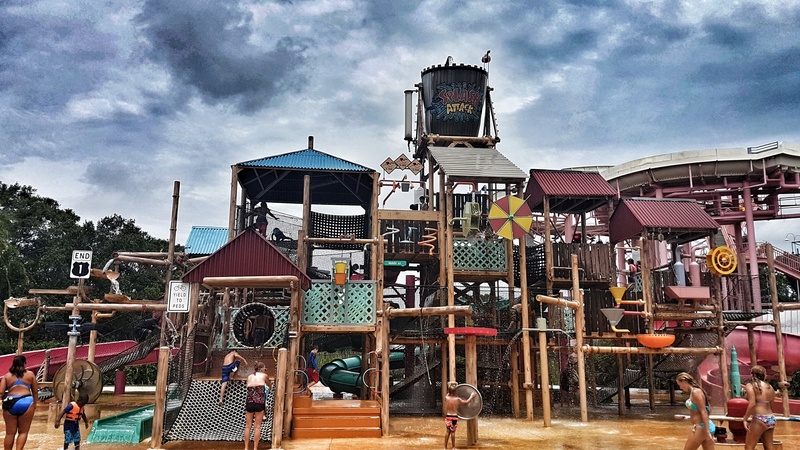 There are beaches to relax on, small slides for little ones, pools and lazy rivers for the whole family to enjoy together, great places to eat and not to mention thrill-seeking rides for older children and grown ups – like Vanish Point, the vertical drop slide! There are some lovely places to eat and drink, catering for a range of needs and tastes. You can rent cabanas, loungers and purchase quick queue passes if you want to further enhance your day. 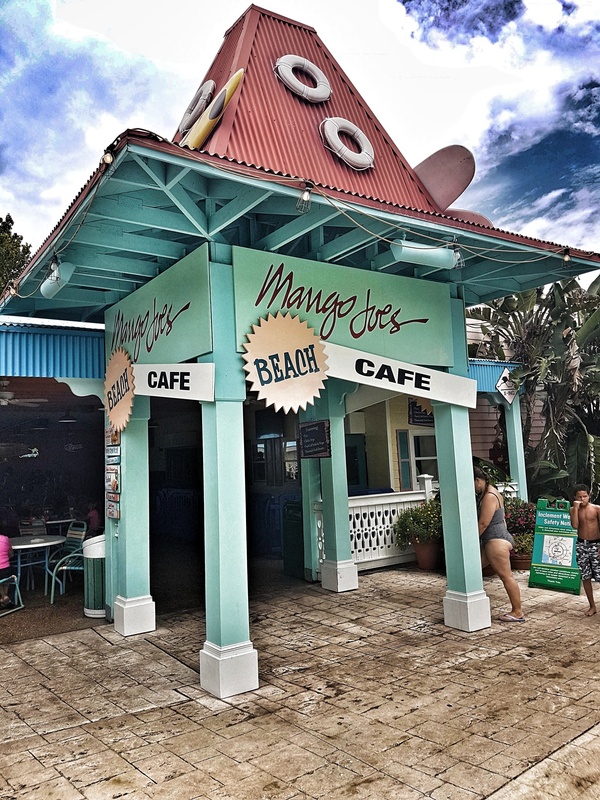 We loved Mango Joe’s Beachside Cafe – there was loads of choice of food and drinks for the whole family and tons of seating located beside a huge sandy beach area that the children could play in! Perfect for keeping everyone happy. We loved the availability of life vests all over the park, even adults were wearing them to just relax and float around – brilliant! 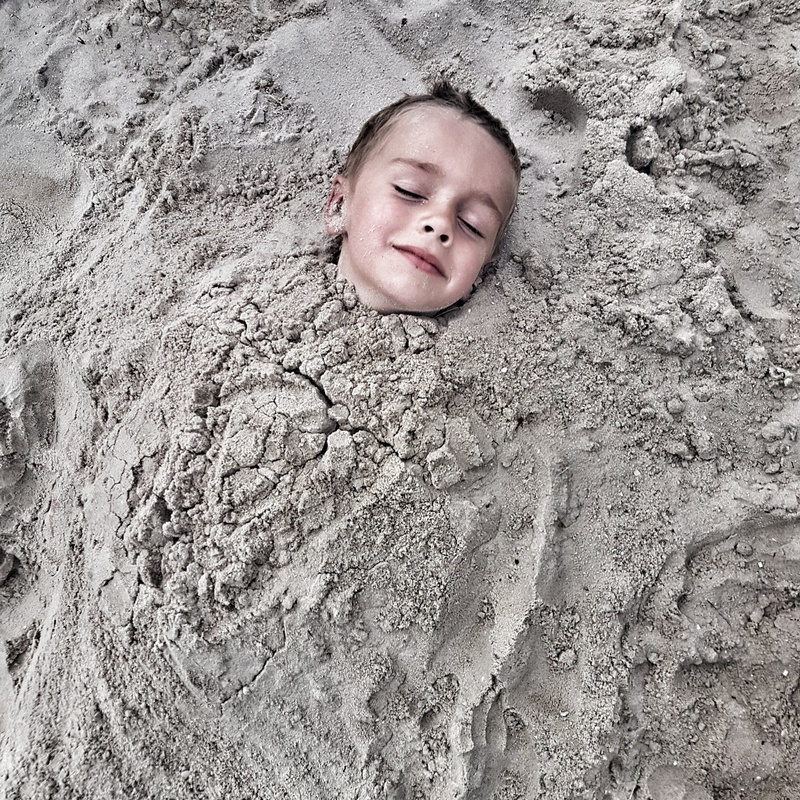 We loved the variety of rides and play areas – there’s something for everyone, it was just a shame we couldn’t try everything due to the bad weather, but that’s Florida in the summer, you get used to it! We loved the huge choice of seating available, there were loads of beach chairs, and tons of seating everywhere. 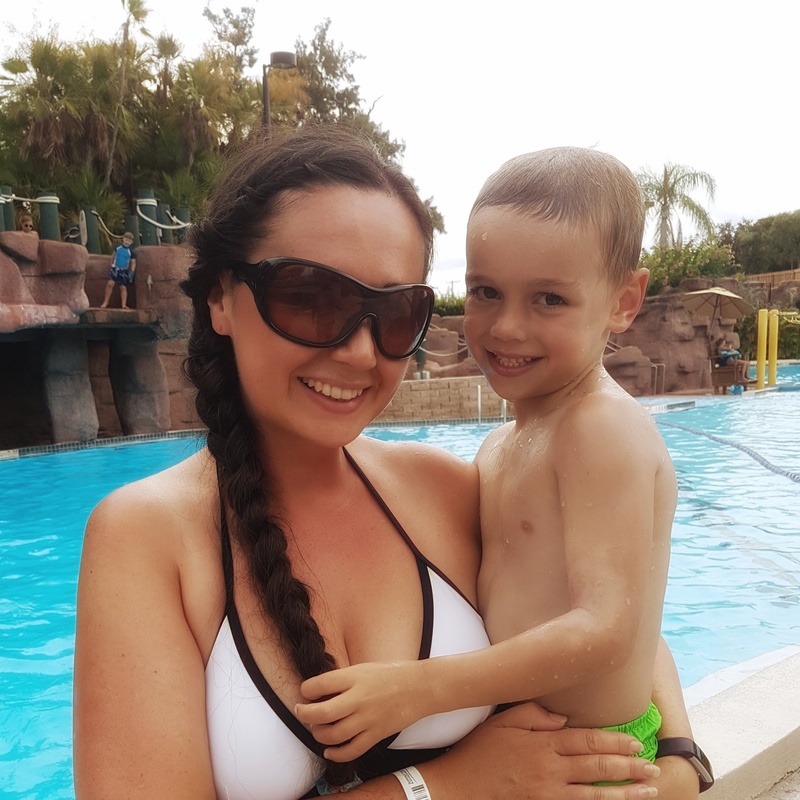 We loved Splash Attack, there was so much for the children to enjoy, including slides, splash pools and squirting water – these types of things are so inclusive as there is something for children of all ages to enjoy. It’s a great area for the four of them to hang out together. 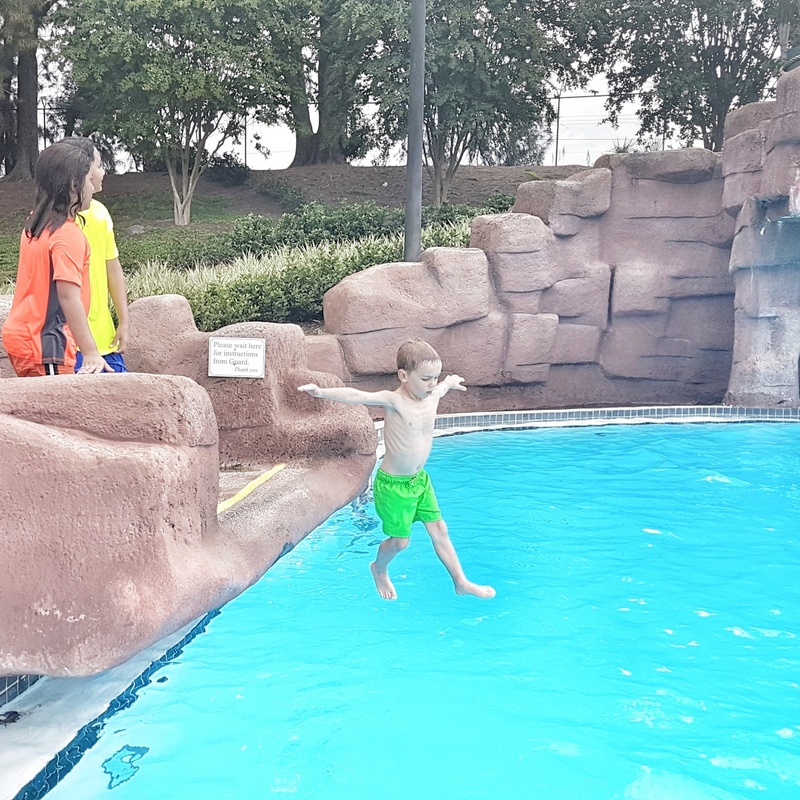 We loved the jumping pool – the children could climb up onto rocks of different sizes and jump into the water – our 5 year old especially loved this! We loved the Rambling Bayou – great for the whole family, this calm, half-mile tube trip takes you through a colorful rainforest, it’s a great way to relax and stay cool! We loved Key West Rapids – you climb up really high and the descend a wide slide, splashing into pools on the way down, this was my personal favourite. Parking costs $22 on the gate or slightly cheaper if you book in advance, you can pay cash or card on entry, like the other parks owned by Sea World Parks and Entertainment. The all-day-dining wrist bands are fantastic but don’t purchase too many – around $35 for an adult wristband and around $20 for a child wristband which entitles you to one main meal, plus one side or dessert and unlimited refills of certain drinks every hour during the day. Clearly, no normal person would consume that much food in one day, so you can make the most of the deal by sharing smaller portions regularly within your party. If your approach is more to keep everyone ticking along during the day with smaller snacks, rather than big sit down meals then this will work well for you. We weren’t very impressed with Island Bites – the menu is good but service was very slow and staff seemed chaotic. They kept getting orders wrong which aggravated lots of the customers. Be prepared for the rides to close once, twice or even multiple times during your day due to bad weather – try and get as much done before lunchtime as possible, as the bad weather tends to be in the afternoon. Pick an area with a parasol incase it rains – it will keep your belongings dry! Park hours vary throughout the season, so check before you travel! Do your family like waterparks? Do you think they would enjoy Adventure Island? Here’s a little taster of what you could expect.